The best part of having breakfast for dinner last night, is that I had breakfast for breakfast this morning. 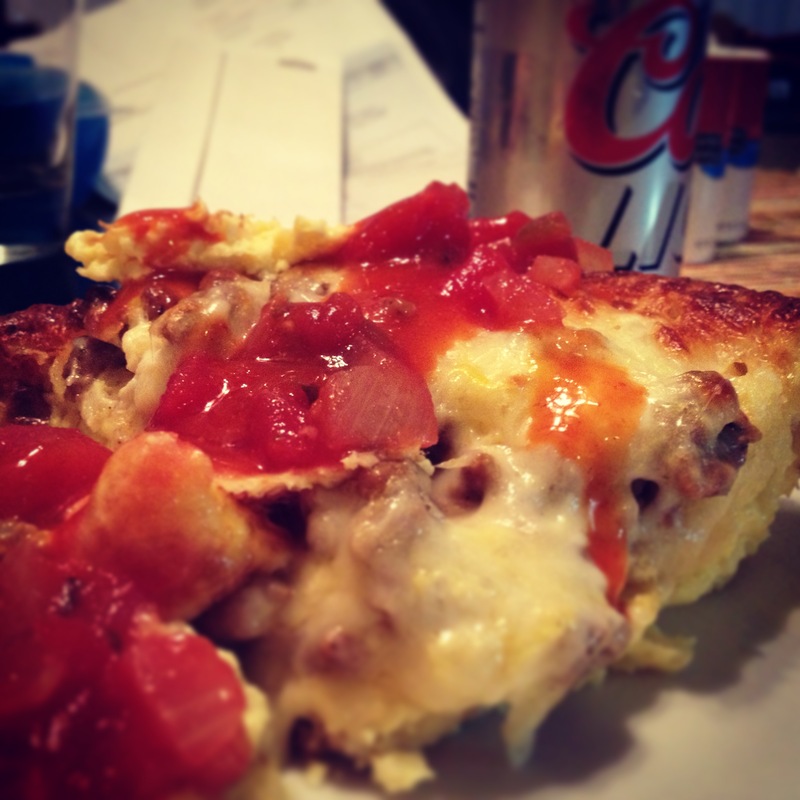 My wife has been finding excellent meals on pinterest and made an amazing breakfast casserole–which, of course, I doctored up with cholula–and it has put me in an excellent mood. On the writing front, the two-part pilot episode for Star Trek Federation–what I’m tentatively calling my next “Next Generation”–is complete. Well, almost…I’m taking a couple of days away from it before reading it and deciding if it’s worthy of sending off to my few trusted readers. Part one is excellent, but I had a lot to do with part two and I fear it may have fell short. But it is a pilot. So yeah. I have the next Star Trek show–it’s awesome–and I think it not only takes on a similar approach to your films, of interjecting a faster and more exhilarating pace, but stays true to the root of what Star Trek is all about: Exploring the human condition from a very smart and science-fiction viewpoint. I can have a copy of it in your email in a matter of seconds. Please email me at thomasdbrown2@gmail.com and I will make it happen. Ripley is a fun, nerdy, day-dreaming high-school girl who’s world of gaming, poetry, and performance art take a serious turn when her older brother is diagnosed with cancer. Despite the somewhat heavy topic of cancer, this web-series will have quite a good sense of humor, and teen angst. And more importantly, I don’t think it’s been done before. Cancer, yeah that’s been done. Nerdy girl teen angst, also been done. But not like this. I’m going to structure the episodes as if they are excerpts from a book. Not visually a book…but structurally. There are no rules with web-series, and I’m planning on stepping outside the box with this one visually, structurally, and creatively. So, yeah…that’s what I’m working on now.